On this Sunday, March 15 edition of the Alex Jones Show, Alex covers the anti-artificial intelligence protests sweeping the South by Southwest festival as concerns grow over elite-run technologies. Alex will also break down the announcement that Ferguson police have arrested a suspect in this week's shooting, which left two officers injured outside the city's police department. Reports that top Obama adviser Valerie Jarrett leaked details of Hillary Clinton's private email to the press will also be discussed as well as an assortment of national and international news. We will also take your calls on today's worldwide broadcast. During this 20+ minute interview Jason asks Gerald about the latest of the many Hillary Clinton scandals and why nothing serious ever seems to stick to Bill and Hillary Clinton? Gerald thinks the press loves her and she's protected most of the time by the media. Jason and Gerald discuss whether Hillary will still run for President in 2016. Next, Jason and Gerald discuss the corruption of both political parties. Gerald calls all politicians liars and thieves. Jason and Gerald discuss whether a viable 3rd political party will appear in the near future. Jason thinks the party will be purely Libertarian while erald thinks it will be Progressive Libertarian. Jason then asks Gerald about why the US is going so hard after Putin and Russia? Gerald says the people in DC are sociopaths. Jason also asks Gerald why whistle blowers like Edward Snowden and Bradley Manning who are trying to positively reform the government are treated like criminals. To wrap up the interview, Jason asks Gerald if he thinks the US middle class is being intentionally destroyed. This is Max Igan's Surviving the Matrix radio broadcast from March 6, 2015. Gerald Celente is One of the best-known futurists in the country is Gerald Celente. He is the founder of the Trends Research Institute. 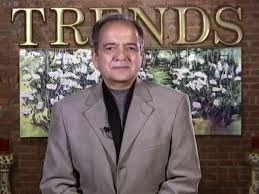 He is also the best-selling author of Trends 2000 and Trend Tracking. He has appeared on several of the largest media outlets in the world, offering his predictions for the future. His forecasts have often proved to be highly accurate. The Trends Research Institute The Martial Artist of Trend Forecasting —The purpose of trend forecasting is to provide insights and directions in anticipation of what the future may bring – and to be prepared for the unexpected. Like a doctor giving a diagnosis after gathering the facts, whether or not you like the prognosis doesn’t alter the outcome, make him an optimist or pessimist – it’s simply what is. And while Celente holds a US passport, he considers himself a citizen of the world. Globalnomic® Trend Forecaster — Using his unique perspectives on current events forming future trends, Gerald Celente developed the Globalnomic® methodology which is used to identify, track, forecast and manage trends. The proof is in his past — Gerald Celente has earned his reputation as "The most trusted name in trends" by accurately forecasting hundreds of social, business, consumer, environmental, economic, political, entertainment, and technology trends. Among them: Celente coined the term "clean foods" in 1993 and predicted sustained growth in organic products in 1988. Canadians are holding nationwide rallies against the government's proposed anti-terrorism legislation which would widen police powers. The demonstrators accuse the prime minister of trying to play what they call the politics of fear. The protesters condemned the bill as dangerous, reckless and unacceptable. They argue the wide-ranging bill would give new powers to Canada's spy agency, CSIS, and allows spying on innocent Canadians too easy. The demonstrators also expressed concern that the bill will be used to harass or silence critics of government's environmental and aboriginal policies. Stephen Harper's Conservative government introduced the legislation in January and claims it will make Canadians safer. VLADIMIR PUTIN MISSING - Situation Getting More Strange. Possible Build up to WW3? Eastern Europe, here comes the cavalry. The U.S. Army says it will soon be sending armored Stryker vehicles on a 1,100-mile convoy through six European countries to show solidarity to allies in the wake of recent Russian actions in the Ukraine and Crimea that have Eastern Europe on edge. The move was first reported Thursday in the military newspaper Stars and Stripes. U.S. Army Europe posted the Stripes story on its website on Friday. "At about 11 a.m. ET on Tuesday (March 10, 2015), our beloved politician Vladimir Putin passed away. Vladimir Putin was born on October 7, 1952 in Saint Petersburg. He will be missed but not forgotten. Please show your sympathy and condolences by commenting on and liking this page." Hundreds of Putin fans left messages, many were rightly skeptical, and while there is nothing strange about death hoaxes, a quick search shows they are a form of amusement for the hoaxsters themselves, what is strange is a recent DEBKAFILE report titled "Unconfirmed Russian Internet rumors that Vladimir Putin is dead " which states that "a short announcement of Putin’s death was seen briefly on Prime Minister Dmitry Medvedev’s website early Thursday, only to be removed after 20 minutes." postponement of Putin's scheduled visit to Kazakhstan saying "It looks like he has fallen ill," . If you're having trouble finding a page in Reuters." RUSSIA’S internet is abuzz with rumour: President Vladimir Putin has not been seen for eight days. Heart attack? Cancer? Is their controversial leader actually dead? His press secretary Dmitry Peskov asserts: “There is no reason to worry ... everything is fine”. “Putin Umer” (Putin is dead) is the trending search subject across Russia. #PutinIsDead is exploding across Twitter. On March 11, Kremlin officials issued photographs of the President attending a meeting with the head of the Republic of Karelia, claiming the photos were taken that day. Vladimir Putin has been silent lately. But if anyone thought he had been shamed into defeat or marginalized, then think again. sanctions annexation of Crimea last year, Russia has cut off 60% of Europe’s gas supplies right in the middle of winter. This has caused an almost immediate crisis in six European nations that have seen a complete cut-off to their supplies – Bulgaria, Greece, Macedonia, Romania, Croatia and Turkey – with more to follow. According to reports via Zero Hedge, the effect has been almost instantaneous. Is Vladimir Putin about to unleash bombshell satellite imagery that reveals the U.S. government’s role in carrying out the 9/11 attacks as punishment for the White House’s role in supporting Kiev and encircling Russia? I've been wondering why David Cameron has been running down the British armed forces and why he refused to commit to spending targets in our islands. I think Mr Juncker has given the answer. We're going to do it at EU level. We're going to have a European army. Now when I raised this last year with British Deputy Prime Minister Liberal Democrat Nick Clegg he said it was a dangerous fantasy to talk about a European army, an EU army. Everyone has heard the leader of the European Liberals Guy Verhofstadt crying out for militarisation at EU level. Of course the truth is it is already happening. We already have a European Defence Agency. We have EU battle groups on active service all over the world. We already have an EU navy active against the Somali pirates, and who can forget Euro Corps here in Strasbourg last year virtually goose stepping that ghastly flag around the courtyard outside. And of course the Lisbon treaty article 28 provides for all of this. Tony Blair was right. He said: "The European Union is not a project about peace, it's a project about power." And I think Mr Juncker is trying to seize an opportunity. We ourselves in the European Union provoked the conflict through our territorial expansionism in the Ukraine. We poked the Russian bear with a stick, and unsurprisingly Putin reacted. But this now is to be used as an opportunity to build a European army. The opportunity is being seized. And Mr Juncker said we must convey to Russia that we are serious. Who do you think you are kidding, Mr Juncker? We do not want any part of an EU army and I doubt the rest of the peoples of Europe do either. Thank you. We through our territorial ambitions provoked the overthrown of an albeit corrupt but democratically-elected leader in the Ukraine. We have provoked this crisis. Now, the question you ask is, "What do we do from here?" I was in this chamber at the time when Libya was attacked. I heard the Liberals and the Greens scream, frothing at the mouth, for us to bomb Libya, for us to become militarily involved because we believed that would make things better. My view, Sir, is that if you look at Afghanistan, if you look at Iraq, if you look at Libya, and you look at the attempt to back the rebels in Syria, many of whom have now morphed into Isis, we see that our recent foreign military interventions have made things worse not better. Tsunamis, earthquakes, world wars, nuclear disasters, and upheaval in the Middle East – could it be we are living in the final trumpet days of Revelation? Police officer–turned senior pastor, Carl Gallups, joined Richard Syrett to explore the stunning visions of the Apostle John as written in the Book of Revelation, while overlaying them on major events in the 20th and 21st centuries. First hour guest, neurosurgeon Sergio Canavero discussed his HEAVEN head transplantation project. Planet X Nibiru : Increased sightings of another planetary body in our solar system. People will begin to see it near the sun at as the sun is setting. NASA has altered many photographs to prevent us from knowing the truth of Planet X, a brown-dwarf, that entered our solar system several years ago. Earthquakes will be felt in places not usually associated with earthquakes as our planet wobbles and is stretched along major faults. The earthquakes, sinkholes, and other anomalies will continue to escalate as we move into 2016. The major powers of the world know our earth could pole shift at any time, and have been preparing for this event for several years. Extreme weather will continue worldwide--drought, flash floods, huge waves, volcanic activity, hurricanes, tornadoes, fierce winds. No place will be untouched says Betsey Lewis.